The only introduction to Global Political Economy that lets students learn from the very top scholars in the field. 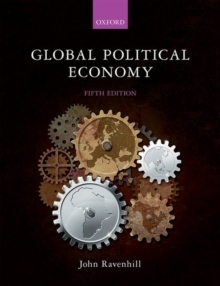 The fifth edition of this popular text offers a comprehensive introduction to global political economy, combining theory, history, and contemporary issues and debates. Renowned for its balance of empirical material and critical analysis, the expert authors introduce readers to the diversity of perspectives in GPE, and encourage students to unpack claims and challenge explanations.